Must Read: Why “I” Invest in SEO? Compared to the costs associated with other forms of online marketing such as PPC advertising, social media marketing, or purchasing leads for an email marketing program, SEO provides fairly good ROI. While PPC may drive more revenue and social media may be more important for your image, your organic SEO in many ways remains bedrock of your online presence. 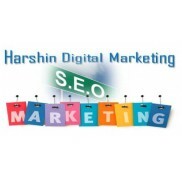 “Remember, SEO is a never-ending process,” says Soniya Mundepi, Owner of Harshin Digital Marketing.